PRIMLAKS has been trusted to provide Shelter for Families since 1982. With a full-fledged manufacturing operation located in Lagos, Nigeria, PRIMLAKS provides stakeholders (families and construction companies) with top quality building materials to cater to their specific needs. PRIMLAKS currently produces 60,000 metric tons of building materials per annum with plans for further expansion in order to provide jobs, cater to the Government’s desire to promote local content and to serve the fast growing need for shelter in West Africa. PRIMLAKS is a pioneer in the manufacturing of galvanized corrugated roofing sheets and specializes in putting the roof over your family’s head. 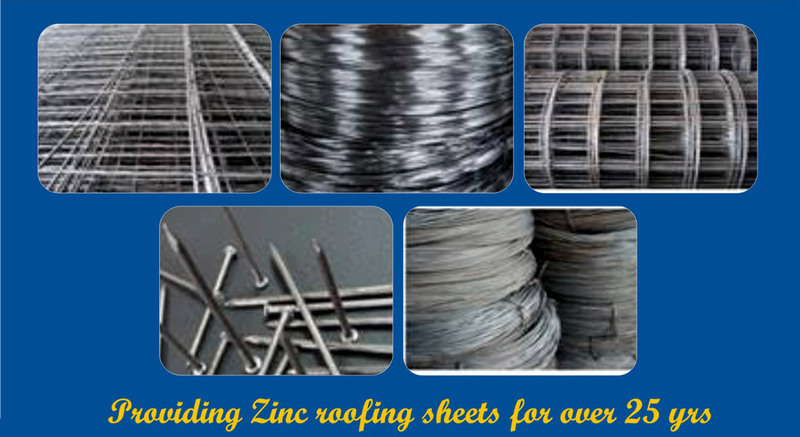 Stringent adherence to quality standards as per the Standards Organization of Nigeria (SON) has attracted loyal distributors, dealers and end-users to patronize PRIMLAKS galvanized roofing sheets. Many customers in the Northern part of Nigeria loyally refer to PRIMLAKS roofing sheets ‘Dan Sharada’, which literally translates as ‘Born in Sharada’, referring to the location in Kano where the company first started producing roofing sheets. 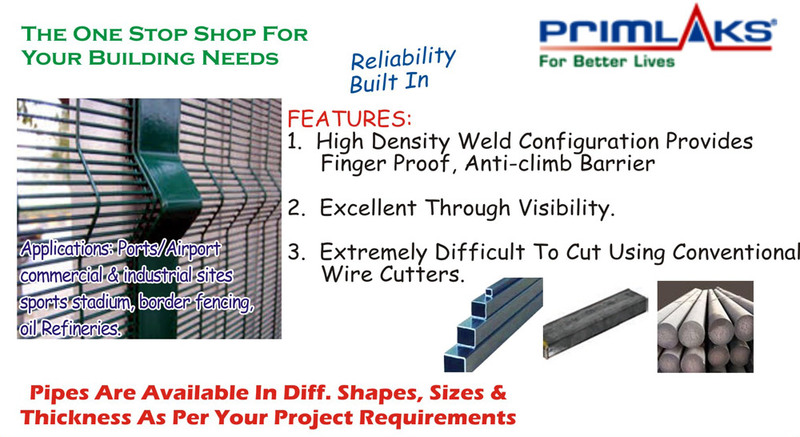 In addition to roofing PRIMLAKS produces steel-based products for construction companies ranging from Welded Steel Reinforcement (Mesh) of all sizes, easy to tie Annealed Binding Wire, Steel Nails, Hard Drawn Wire, and Quarter Rods. We use prime mild steel wire coils as raw material conforming to BS4483 standards. PRIMLAKS is a supplier of choice for customer and companies who want to build with the confidence that they are getting the specifications they require. PRIMLAKS’ welded steel reinforcement products are tested regularly at The University of Lagos and The Standards Organization of Nigeria has certified its welded wire mesh and nails to Gold Standard rating. PRIMLAKS forayed into manufacturing of Electric Resistance Welded (ERW) pipes in March 2012 by starting with 0.5mm to 2mm thickness. In a very short span customers across Nigeria have started favouring PRIMLAKS’ pipes due to their superior quality. PRIMLAKS is an active member of The Manufacturers Association of Nigeria (MAN) and continues to contribute to the Nigerian economy.